MANCHESTER – 25th July 2018: Manchester-based global insights specialist Gama is today pleased to reveal the shortlisted finalists in the Gama Innovation Awards 2018. Recognising outstanding innovation in the FMCG space, the shortlists for the Gama Innovation Awards represent the very best new products unearthed in the last year by Gama’s global network of in-country researchers and analysts across eight categories: Product, Packaging, Positioning, Branding & Design, Health & Wellness, SME, Best of Britain and – new for 2018 – Best of Middle East. More than ever, the products shortlisted for the Gama Innovation Awards highlight the diverse nature of innovation currently impacting the FMCG sector. Functional and convenience benefits continue to be key themes, with this year’s finalists including pasta made from parsnips, fruit juice blended with crickets, infant formula derived from camel milk and lasagne reinvented as an on-the-go snack. The hot topics of food waste and veganism are also well reflected this year, with products such as chutney made from leftover vegetables, teabags designed for non-dairy milk and pizza topped with falafel also making the 2018 shortlists. 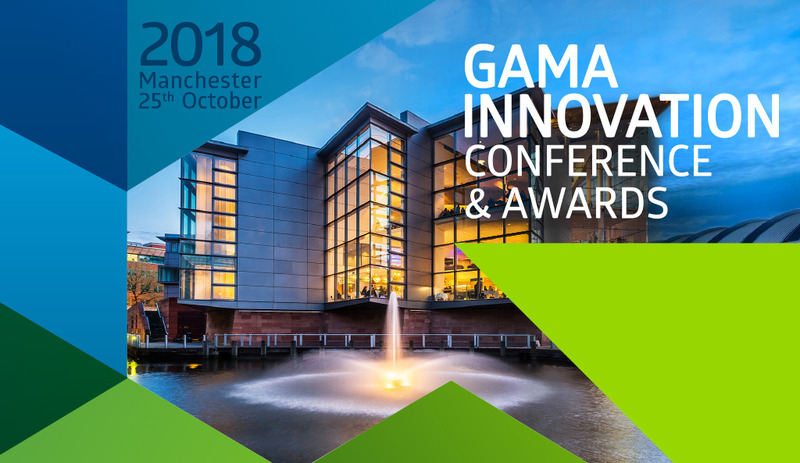 Gama innovation director Silvia Ruiz commented: “In compiling the shortlists for the Gama Innovation Awards 2018 we sifted through literally hundreds of new and innovative products from over 40 countries, selecting only the most ground-breaking few for consideration by our expert judging panel”. “Building on the success of our first and second editions, the Gama Innovation Awards 2018 will be a fantastic opportunity for all of our worthy finalists to take their place in the spotlight, among a select audience of industry thought leaders from across the globe”. The overall winner in each category, as voted by a panel of international judges, will be announced in a ceremony to take place at Manchester Bridgewater Hall on 25th October 2018. To see the shortlist for each category, click HERE . The Gama Innovation Awards recognise outstanding innovation in the FMCG space. Awarded in the disciplines of Product, Packaging, Positioning, Branding & Design, SME, Best of Britain, Best of Middle East and Health & Wellness, Gama Innovation Awards go to the top new launches unearthed each month by Gama’s network of in-country researchers and analysts. Winners are chosen through an international panel of expert judges based on a shortlist of innovative products.